André Gattolin is vice-chair of the French Senate’s European Affairs Committee and the author of three reports dealing with the EU and the Arctic. Damien Degeorges is a Reykjavík-based international consultant specialising in EU-Arctic affairs. In 2013, the European Union’s application to become a permanent observer to the Arctic Council was received ”affirmatively” at the ministerial meeting in Kiruna, Sweden, but ”a final decision on implementation” was however needed. As long as the EU case in the Arctic Council had not been solved, other applications for permanent observership in this regional council were expected not to be accepted. That was what some thought after the 2015 ministerial meeting in Canada. It didn’t end at all like that in May in Fairbanks, Alaska, when the eight Arctic states (Canada, Denmark, Finland, Iceland, Norway, Sweden, Russia and the United States) met for the ministerial meeting marking the end of the US chairmanship of this high-level forum established in 1996. Nothing new for the EU, while Switzerland, among others, got the precious observer status. The EU’s failure to become a permanent observer can be seen as even more bitter for the Commission and EEAS as it follows the publication in 2016 of a joint communication on “An integrated European Union policy for the Arctic” in which they acted diplomatically towards Arctic states. Some geopolitical factors are not helping the EU in its attempt to become a permanent observer, but the Union needs to go back to its source code to remove the obstacles that prevent its success. In other words, when it comes to the Arctic, reverse engineering is needed in the EU system to avoid further ostracisation in the region. Sooner or later, the situation of Greenland, a self-ruled territory that is part of the Kingdom of Denmark and one of the very strategic overseas countries and territories (OCTs), might become complicated, and that is not in the interest of developments in the Arctic. The more the desire of some to build a Greenlandic state grows, the more this dream will need to be financed, and the more the geostrategic reality of the island will show that there is no room for “real” independence, particularly when the possibility of Chinese investment arises. A Greenlandic state would obviously not have its own armed forces, like Iceland, and would undoubtedly be more dependent on the United States, which already has a strategic presence on the island through Thule Air Base. If the development of Greenland is to be a success, it will require a more globally-oriented political elite that understands the limits of Greenland’s independence and that does not sell to its own people a dream that would bring the territory into a much stronger dependency; the opposite of the initial goal. Therefore, the massive financial support that the European Union has been for years giving to the Greenlandic education system needs to be better appreciated in an Arctic context. However, more needs to be done. We strongly encourage an extension of the European Commission’s investment plan to overseas countries and territories, as it would enable stronger EU support to the sustainable development of Greenland. Also, the opening of a European Investment Bank (EIB) Group office in Denmark in 2015 should pave the way to a stronger Arctic involvement of the EIB, to the benefit of the people living in the Arctic and bringing greater regional stability. The Arctic has turned into a great power game where global players such as China and India are present. While the China-US competition is still ongoing in the South China Sea, recent years have shown that a second act has opened, in a soft way, this time in the backyard of the United States: the Arctic. This has clearly been illustrated in areas such as Greenland and Iceland, and beyond. When Chinese President Xi Jinping “inaugurated” in April a new China-US presidential era by meeting his US counterpart Donald Trump in Florida, he made no less than two Arctic-related stopovers, in Finland on his way to the United States, and afterwards in Alaska. Finland in May took over the chairmanship of the Arctic Council for two years. It is “now or never” for the European Union’s efforts to be better accepted in this forum. 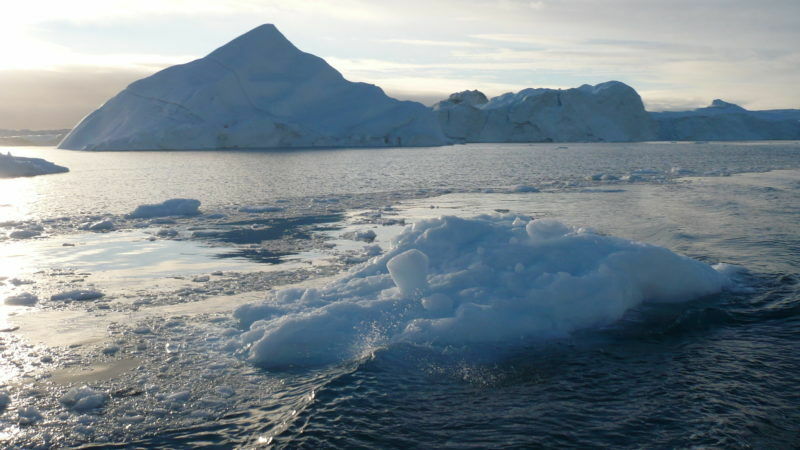 A high-level event entitled “A sustainable Arctic – innovative approaches”, co-hosted by the Commission, EEAS and the Ministry for Foreign Affairs of Finland, is to be held in Oulu, Finland, in June. We strongly encourage the European institutions to put the Arctic high on their agenda while Finland is chairing the Arctic Council. Much attention has been given in Europe to the Chinese Silk Road plan, which actually looks like to be only the tip of the iceberg. The fact that the intention seems to be about “One Belt, One Road, One Circle” should raise more awareness in Brussels and in other European capitals about the importance of the area surrounded by the Arctic Circle. Icy relations between China and Norway, following the Nobel Peace Prize awarded to Liu Xiaobo in 2010 were normalised again in 2016. In 2019-2021, Iceland, the first European country to have signed a free-trade agreement with China, will chair the Arctic Council. High-level Chinese delegations are still visiting the island, as shown again in May. With Brexit set to redefine fishing zones in Europe, it would be very much in the interest of the European Union to relax the rules of fisheries in Europe, for example through an ad-hoc agreement to the outcome of the Brexit negotiations. This could pave the way for the EU to build a closer relationship with Iceland and Norway.